In this prequel to the successful X-Men franchise, Logan/Wolverine (Hugh Jackman) lives a mutant life, and struggles to unlock the secrets to his past. Set in the 1960s and 70s, the movie portrays Wolverine’s hunt for revenge against the villain responsible for the death of his girlfriend. Logan will ultimately take his search even further when he learns the full truth of his origin, while also heading in a bold, new direction. 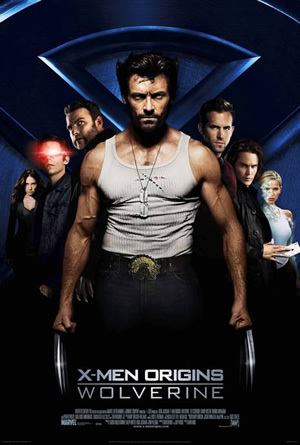 The most newsworthy event that happened one month prior to X-Men Origins: Wolverine general theatrical release was the online leaked of the bootleg copy of this film. 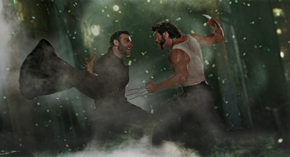 Hugh Jackman reportedly said that he was upset as those who downloaded it and viewed it would not be experiencing the movie as it was meant to be, as it was missing some special effects, some footage and a finished score. This leak also caused a columnist his job after he had downloaded this bootleg copy and bravely posted his generally positive review online. Over at Moviexclusive, we are not that brave to publish such review or take a risk in hurting our relations with our dear distributors. However I did wonder if the missing special effects, footage and finalized score would really affect the origin story of Wolverine or even the story telling aspect much. I would imagine that seeing those wires or incomplete special effects would be a distraction but if the story and characterization of this X-Men installment turned out to be weak; would the missing elements matter that much? To be fair, Hugh Jackman was right about going to the cinemas to get the best out of the special effects. Gambit’s explosive bio-kinetic energy could only be felt the way it was intended in a cinema with good sound system and the grandeur of certain scenery needed to be view on a big screen. 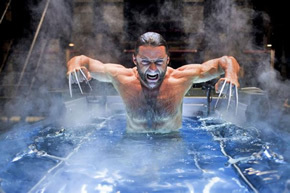 However as a comic fan and a viewer who favors solid story and characterization over special effects; X-Men Origins: Wolverine was a big let down. Let’s start with the movie’s frantic pace in telling this Wolverine’s origin story. This popular old character had a lot of milestones in his 35 years of existence and while it’s impossible to cover them all, this movie made the mistake of skimming through some of his iconic pasts. Some of the events that was covered (which are not too spolish to mention here as it’s been featured on the trailer) was Wolverine’s time as a kid discovering his gift for the first time, his war time involvements, how he got his Adamantium bones and his infamous amnesia. That’s a lot to cover and yet this movie basically rushes through them. In hindsight, the filmmakers brought out some great moments in Wolverine life but never spent much time in explaining or going in details on why are these moments so memorable for Wolverine fans. For example the unexpected family conflict that the kiddo Wolverine faced was told in less than 5 minutes. 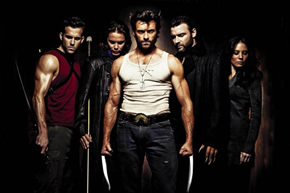 This dramatic tale needs at least 15 to 30 minutes to develop the various characters that were involved in that fateful night which young Wolverine discover his extra tools. The horror of such discovery and the various events that happened were not given the chance to seep through like the comics origin story. Batman Begins wisely took the time to introduce the bond between son and father while this Wolverine movie just chomp his way through that rich part of his past. Likewise his times spent fighting wars were skim though as a credit sequence and his grafting of the Adamantium didn’t feel that it was a long and extremely painful ordeal for him as depicted in the comics. Beside that, this movie also tried to cramp as many popular characters from the X-Men folder. Gambit, the most popular X-men character that had yet to make an appearance finally did so in this movie and it felt like a mistake that the previous X-Men movies had been avoiding. In this movie, Gambit is reduced to an unnecessary supporting role that his character and the story had to awkwardly facilitate each other presence. His character could have been written off or any other characters could have replaced his role in this movie and it doesn’t really make any significant difference. Fans had been clamoring for his appearance and such an initiation was quite a disappointment. It helped to understand why the previous installments wisely avoided bringing Gambit to the plate if there wasn’t a story that could properly make use of him. If there’s a category for it, Gambit’s cameo could be awarded as the most extra in a movie. Not to be outdone, the comics fan favorite “merc with a mouth” Deadpool existence in this medium had been given a horrible mutation. While they still retain the wise cracking persona to this character, this trademark disfigurement was gone for most part of the movie. When Deadpool do appear in his usual comic rendition appearance, it’s for all the wrong reasons and the modification felt so untrue to the essence of his character. Beside those two, there are also questionable inclusion of Cyclops and the very limited screen time of Emma Frost. All this rather redundant inclusion of popular characters seems to hint at the filmmakers’ unwillingness or inability to trust that a singular popular comic character like Wolverine would be able to do the job. With the lack of faith, they tired to add as many characters as possible to make this movie more appealing and perhaps more marketable. In closing, this film would most likely appeal to all those general casual viewers who are looking forward special effects or by and large a relaxing time out. For the non comics readers who generally got to know Wolverine from the movies or other medium such as the cartoons might be impressed with this origin movie. However if you prefer more substance or buildup, knew a bit more about what happened to Wolverine in the comics or have a passion for this character, X-Men Origins: Wolverine would most likely be a disappointment.